Mobile printing app Printer Pro, by developer Readdle, has been named by Apple as this week's App of the Week. Known for their knack at developing productivity-based apps, Readdle says Printer Pro will allow users to "print just about anything" from an iPhone or iPad. Normally priced at $6.99, the app gives users the ability to print a wide array of documents - from pictures in the Photos app to documents found in iCloud or Mail - to any Wi-Fi or USB-enabled printer. Readdle also provides a free-to-download desktop utility for the service that helps users with USB printers through an initial set-up and allows everyone using it to "print more document types and with better quality." The company notes that to print a Safari page, users can change "http" to "phttp" in the address bar and hit go, immediately bringing up the desired web page within the Printer Pro app. Most other apps, like Dropbox, Mail, and Readdle's own PDF Expert, allow for a more streamlined process of accessing the app from a third-party app's "Open In" list. 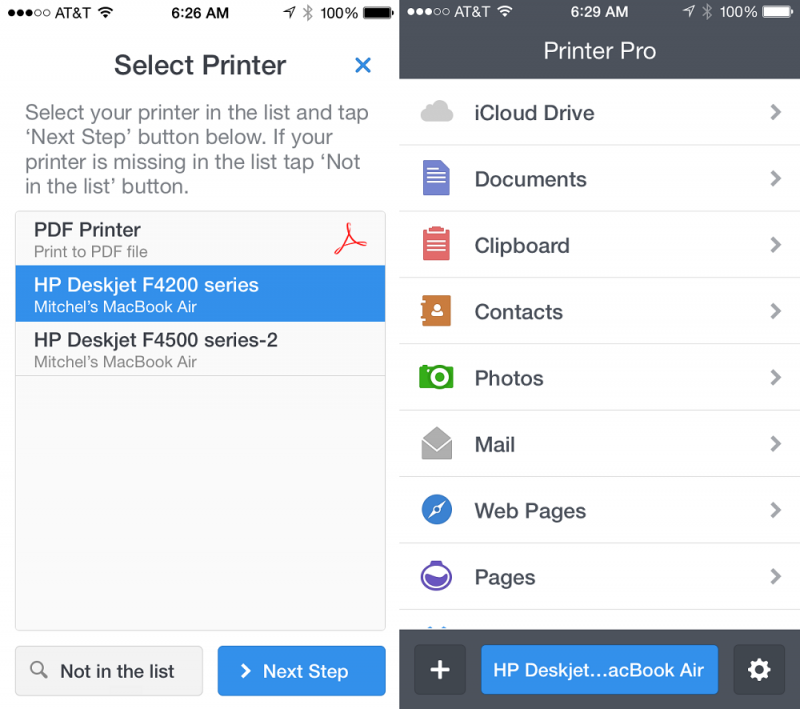 Once installed, Printer Pro appears in the "Open In..." list on your device. This lets you print documents from Mail, PDF Expert and many other applications on your iPad that supports this function. The app has garnered a 4 star rating on the App Store, with one review calling it "indispensable" and many others praising its ease-of-use and high quality. Relied on by "over 2 million people", according to Readdle, Printer Pro [Direct Link] will remain free as the App of the Week for the next week. People still post unnecessary stuff? Sounds to me like it supports more printers. I'm downloading even though I have no plans of ever using, just for in case. Sometimes you have to. Like for mailing labels. Thanks for the mention guys! Let me know if you have any questions or comments. Installed and working with an old LaserJet1320. I had to install the desktop app to get it to work. I've yet to test it when my Mac is asleep. You print through the app so it's not the same as simply tapping on the print icon in the Share menu. Edit to add: When my MBP is sleeping, and the computer is on, nothing prints. However, when I wake the MBP, the print jobs(s) complete. Remember, this is a ~20-year-old printer. Congratulations on attacking the SNR with this post. I have an AirPrint printer now but can't print off of school WiFi, and still haven't been able to with this. By the way everyone this is a great app, I've had it for about a year now and it's been rock solid reliable outside of my dorm.